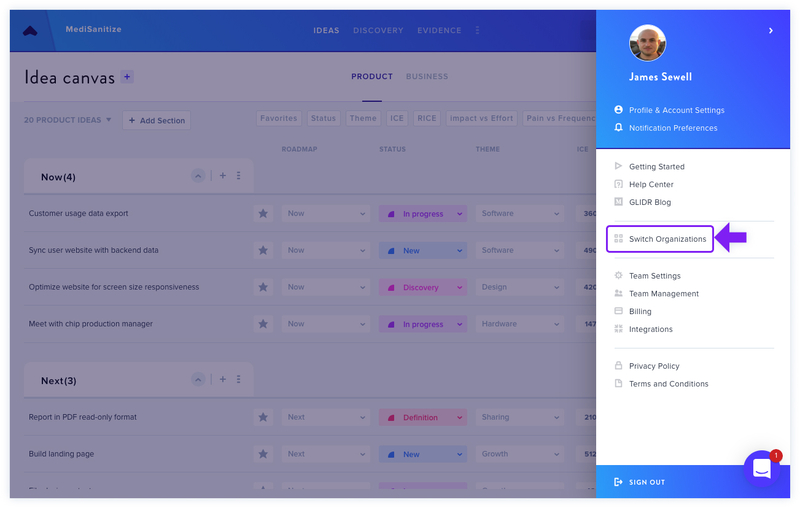 Running multiple projects is easy with GLIDR. 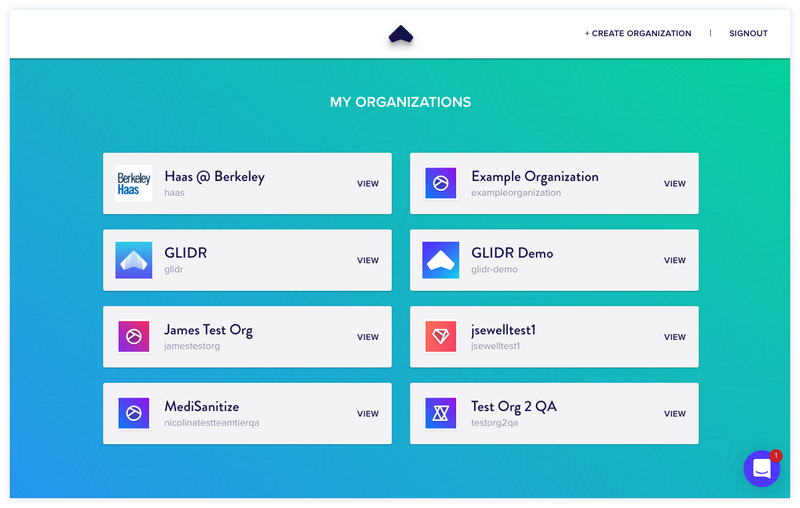 To run multiple Organizations simultaneously, just sign up for any additional subscriptions with the same email address as you usually use to sign in to GLIDR. You can sign up for as many as you'd like, and you can see both Team or Enterprise Orgs in this view. If you have multiple organizations, you will see a Switch Organizations option under your Account Menu. Clicking on this will take you to a screen that allows you to see all of your currently active projects. Selecting one of your organizations will take you to that organization. From there, you can switch back again by navigating back to the Switch Organizations menu option. Click here to go back to view other tips and tricks.